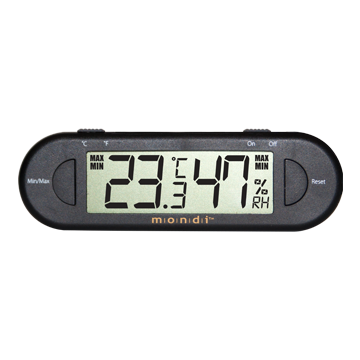 The Mondi Mini Greenhouse Thermo-Hygrometer mounts to the side of your mini greenhouse and reads temperature and humidity inside the dome. It ensures that plants get the start they need by providing growers with the essential real-time information necessary to produce large quantities of healthy plants. 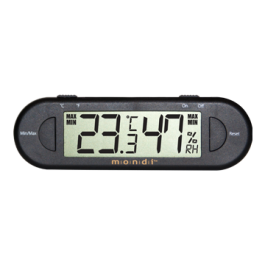 In addition to its many uses in the horticultural industry, the Mondi Mini Greenhouse Thermo-Hygrometer has a wide range of applications, such as room environment, food safety, and pet care.